A man was arrested and charged with fatally stabbing a victim in broad daylight at a busy Church Street intersection on Wednesday afternoon, Burlington police said. 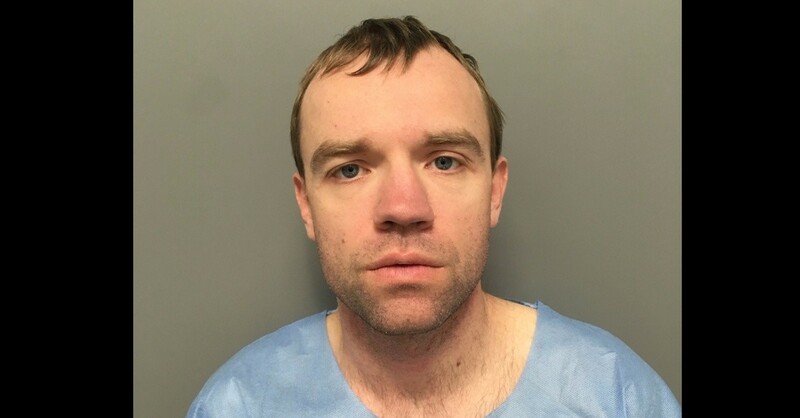 Louis Fortier, 36, surrendered to police at the scene after allegedly stabbing Richard Medina, 43, multiple times in the neck at the corner of Church and Cherry streets, police said. Police described both men as transients. Medina was pronounced dead at the University of Vermont Medical Center at 2:20 p.m., shortly after he was stabbed. Police said they recovered a knife at the scene and that video cameras captured the encounter. Several witnesses identified Fortier as the killer, police said. Authorities did not provide a motive for the stabbing, but said the encounter was not random. Fortier recently arrived in Burlington from Massachusetts, where he has an extensive criminal record, police said. Since 1996, Fortier has been charged with assault with intent to murder, armed bank robbery, assault on a police officer, aggravated assault with a dangerous weapon and several other alleged crimes. Medina also had extensive police contacts, including mental health calls, police said. "Saw my friend in a pool of blood. He was pretty much lifeless," Ploof said. "And as I approached, the police told me to get back across the tape. And I did, and I watched them pick his limp body up, put him on a gurney, trying to resuscitate him and bring him to the ambulance and they sped off." Police asked that anyone who witnessed the attack and has not yet spoken with authorities to contact Detective Jamie Morris at 540-2254.